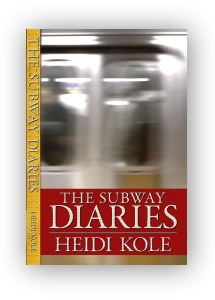 All copies of The Subway Diaries ordered directly from Heidi Kole are Personalized & Autographed. Cost: $17 + $3 shipping in contiguous US and $2 shipping for each additional book. If you have any questions or difficulties ordering send us a note at info@thesubwaydiaries.com and we'll be sure to get it straightened out for you!